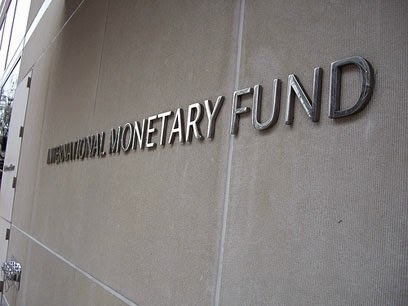 The International Monetary Fund and World Bank are "vital for addressing the challenges of today and those that lie beyond the horizon," says U.S. Treasury Secretary Timothy Geithner, as the two world lenders convened in Washington for their annual spring meetings. The organizations' "vital role in multiple and varied circumstances -- from fragile states to the global financial crisis; from security to climate change; and now to support historic transformations in the Middle East and North Africa -- underscore why these development banks are worthy of our strong support," Geithner said in a statement to the IMF and World Bank Group Development Committee Meeting April 16. The committee released a communiqué after the meeting, which was held to discuss key global development issues, a main focus of the spring meetings. The release emphasized the committee's continued commitment "to ensuring sustainable, balanced and inclusive growth" around the world. IMF First Deputy Managing-Director John Lipsky emphasized this message, highlighting the importance of sustained, rapid and inclusive growth as the only way out of poverty for low-income citizens of developing economies. He said at a news conference April 16 that the IMF will "continue to work with our developing countries members to help institute appropriate macroeconomic policies, and work with our partners in the World Bank to promote structural reform that will help make growth both inclusive and sustainable." The development committee commended developing countries for playing a large part in strengthening the global economy as it recovers from the international financial crisis. However, the group expressed concern that these economies are beginning to overheat in sectors such as food and energy, "resulting in price pressures and volatility, putting developing countries and especially their most vulnerable populations at risk." Bahrain's finance minister, Ahmed bin Mohammed Al Khalifa, chairman of the committee, said at a press conference April 16 that recent food and energy price increases, coupled with the global economic crisis, "are among the factors that have slowed developing countries' progress toward achieving the Millennium Development Goals." World Bank President Robert Zoellick said successes in achieving the goals thus far have included halving global poverty, as well as making substantial progress on achieving gender parity in primary and secondary education, improving access to safe drinking water and overcoming many of the worst cases of hunger. However, he said, the global community likely will miss targets on access to sanitation and child and maternal mortality, and he highlighted that no conflict-affected country has attained even one of the goals. Zoellick called for a concerted international effort to make more progress in fragile states ahead of the 2015 deadline. Geithner urged the IMF and World Bank to focus efforts on the Middle East and North Africa to "lay the groundwork for more inclusive, sustainable growth and private sector-led job creation," as well as to support democratization by promoting "a robust civil society as well as good, accountable and transparent governance." He said the international community depends on the groups to lead efforts in tackling other global challenges, such as combating climate change and improving international security. "With domestic resources constrained, no other institutions so effectively leverage our limited resources and provide such a positive impact on the ground in service of our national and global interests," Geithner said. The IMF and World Bank Group next will meet September 23 in Washington.